I heard reports that a Mandarin Duck had been seen on the lake in the park so we set off to see if we could find it today. It's so bright and colourful it was actually quite hard to miss! This is fabulous -- great markings and so well captured. A Wow from me too! Must be the most beautiful bird in the world!!! 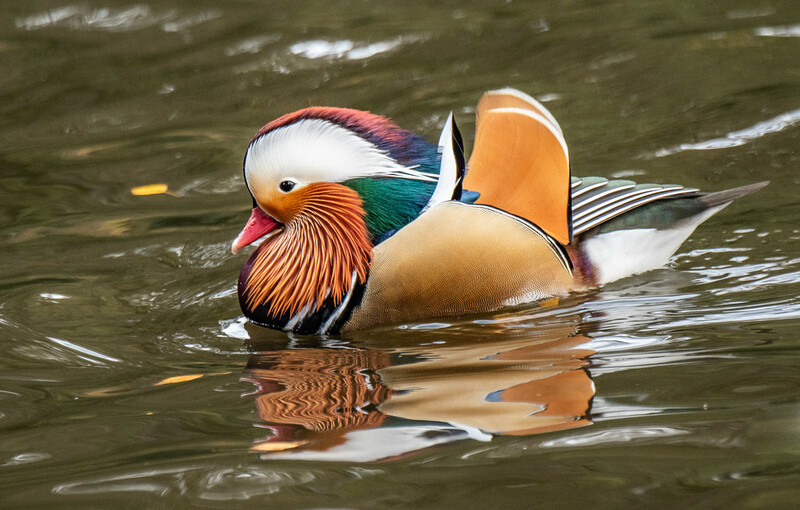 These ducks are so gorgeous! A fab fav! Born to impress! Beautiful capture. Your exquisite capture of this beauty pays deference to "Eye Candy" * in the loveliest way! *Some know how to do it without ever going near a mirror!